Kevin Hill has spent more than two decades as a music educator and choral conductor in the state of Georgia. He began his teaching career as Choral Director at Rome High School and Rome Middle School from 1995-2000. 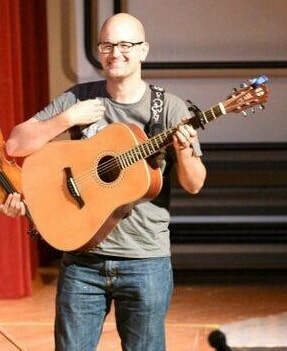 He is currently in his Seventeenth year as Choral Director at Grady High School. While at Grady, his choirs have consistently scored superior ratings performance evaluations. Under his direction, the Choirs of Grady have traveled to France and England performing in Bath Abbey, Gloucester Cathedral, and the American Church in Paris. Domestically, his choirs have performed throughout the Metro-Atlanta area as well as at the Cathedral of St. John the Divine in New York City. Mr. Hill holds a Master of Choral Conducting from Georgia State University and a Bachelor’s in Music Education from Shorter College. He is an active member of Georgia Music Educator’s Association.